Tel Aviv-based shared office real estate company Urban Place is set to open its first Jerusalem location, the company announced Thursday. The central Jerusalem location, Urban Place’s first expansion outside of Tel Aviv, will span 21528 square feet (2,000 square meters) and will feature a Bloomberg terminal offering finance market data, breaking news, and analytics, in addition to other amenities such an on-site gym and an auditorium. Founded in 2015, Urban Place operates two coworking locations in Tel Aviv and is set to open a location in Paris this year. In May 2017 the company raised $12 million in funding. Urban Place previously announced intentions to open locations in Berlin, London, and Madrid. 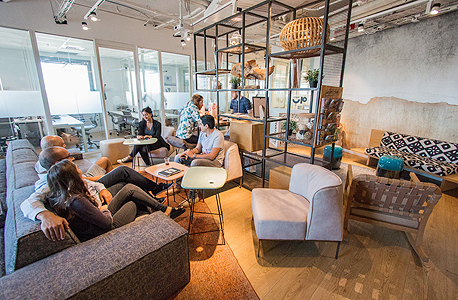 Israel, where WeWork CEO and co-founder Adam Neumann had spent his formative years, has sprouted numerous shared office real estate companies in recent years, including Labs, Be All, Ayeka, Mixer, and Mindspace Ltd.
On Tuesday, Mindspace announced the acquisition of KleinKantoor B.V., which operates seven coworking locations in the Netherlands. Mindspace was founded in 2014 and operates 25 locations in six countries worldwide. In February, Mixer raised $40 million in a round led by Puma Brandenburg, the investment firm headed by British businessman Howard Shore. The company, whose corporate name is TLV Lounge Ltd., launched in 2016.